The discovery of the Solanae Dyson Sphere has provided a unique opportunity to fleets of all factions. The Romulan Republic is leading the Joint Command in charge of operations inside the Sphere, and they know that the Dyson Sphere is too immense for them to divert adequate resources for a full survey of it. As a result, Joint Command has started to assign liberated Spires to fleets in an effort to further exploratory efforts inside the Sphere. 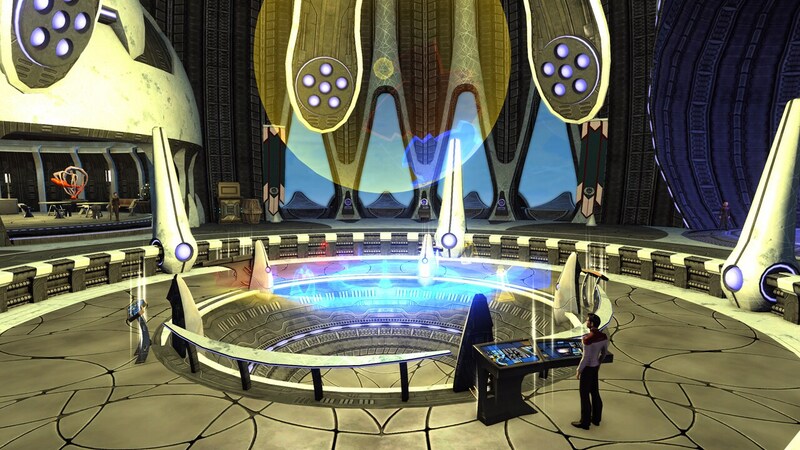 Similar to Fleet Starbases, Embassies and Dilithium Mines, special projects will become available from time to time for a fleet’s Spire. Completion of these special projects will unlock new features to expand the functionality and appearance of your Spire. Be quick, though – when a special project becomes available, it will only be available for a limited time; you must start the project before the end of the feature. Once you’ve started the project, you can keep working on it until it’s finished, even if the special event ends. As with Starbases, Embassies and Dilithium Mines, you can only work on one special project at a time, so act fast! Our next and final special featured project for the Fleet Spire is “Star Gazing.” Dyson Joint Command has authorized fleets, which have completed this project, access to a unique holo-emitting observation system console. The holo-projection is utilized to assist with exploration and mapping of the massive interior of the Solanae Dyson Sphere. Completing this project will grant access to the Spire interior’s Orrery. 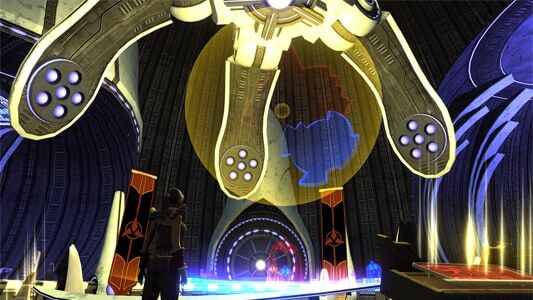 This special feature can be activated by interacting with a console in the central area of the Spire’s interior. This special project is available now until around when server maintenance starts on March 6, 2014 (or 7AM PST — whichever is earlier). We hope you are enjoying Season 8: The Sphere and we’ll see you in-game!